The GenerLink transfer switch comes in two different sizes, the 30 or 40 amp models. 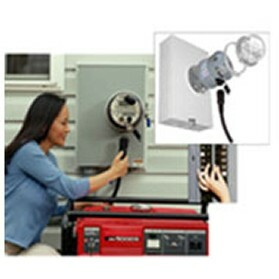 The size of your generator will dictate the size of the GenerLink you will require. Please also check the compatability of your generator on our "Generator info" page to verify everything will work properly once installed on your home! 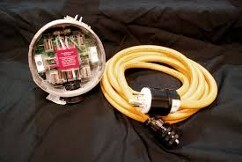 30 amp non-surge protected GenerLink that comes with either the L14-20 or the L14-30 plug on a 20 foot cord. 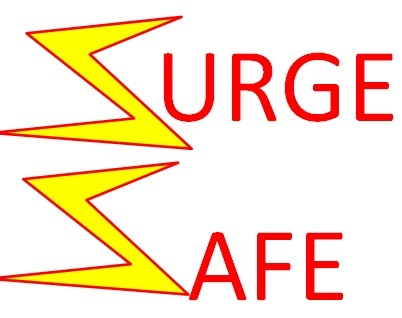 30 amp GenerLink with 75kA per phase surge protection built in. 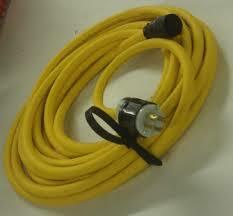 Comes with either the L14-20 or L14-30 plug on a 20 foot cord. 40 Amp non-surge protected GenerLink that comes with either the L14-20, L14-30, or the 14-50 straight blade plug on a 20 foot cord. 40 Amp GenerLink with 75kA per phase surge protection built in. Comes with either the L14-20, L14-30, or the 14-50 straight blade plug on a 20 foot cord. 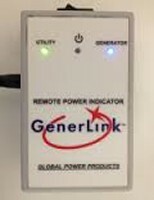 Call in for pricing and availability of all GenerLink models and their optional adders. The 20 foot standard cable might not be long enough for you. If that is the case feel free to measure the distance you require and select either a 40, 60, 80, or 100 foot cord which will be premade and ship with your GenerLink. Radio Frequency (RF) remote will let you know when the utility power is back available so you can go and turn your generator off preserving fuel and getting you back on utility power quicker. Each GenerLink will ship with a standard 20 foot cord unless otherwise noted. On the cords you have the option of NEMA four prong plugs. Either the L14-20 Locking, L14-30 Locking, or the 14-50 straight blade plug. The plug will be dictated by your generator. You can have 75kA per phase surge protection built into the GenerLink to protect all your white appliances from a surge coming in through the meter. Has a built in audible alarm so you will know when you have taken a hit! The proper steps to hooking up your GenerLink transfer switch to your home can be found in the operation manual located in the box. If you have lost the manual please find a copy under the "Downloads" page and print a copy for referance. Please follow the steps below to properly and safely connect your generator to the GenerLink. Please note, these steps can be taken to also TEST the GenerLink while UTILTY POWER IS PRESENT. 1) Roll your generator to a well ventilated area near where the GenerLink is installed. 2) Go into your breaker panel and turn off ALL the breakers except the main breakers. 3) Connect the cord to the GenerLink (making sure it securely clicks into place) and connect the opposite end of the cord into your generator. 5) Go back into your breaker panel and turn on a few essential breakers one at a time until you reach the maximum running wattage potential of your generator. To switch back to utilty power (if available) all you have to do is turn off your generator and the GenerLink will automatically transfer you back to the utility at which point you can turn on all your breakers and put the cord and the generator away.